As a proud Aussie company, we have always been happy to be associated with a proud Aussie. Reginald Murray Williams (better known by his initials R.M Williams) was a famous Australian entrepreneur who created his own distinct style of bushwear that became popular the world over. From humble beginnings, R.M Williams started out as a rugged bushman, spending his formative years living off the land as a camel driver trekking through the harsh Australian outback. He later acquired leatherworking skills and began producing his own horse bridles, saddles and boots. Through sheer resilience and dedicated craftsmanship, R.M Williams went on to build his small leather business into what is indisputably one of today’s most iconic and successful Australian brands. After his death in 2003, his famous name has lived on through the proud clothing brand he created. 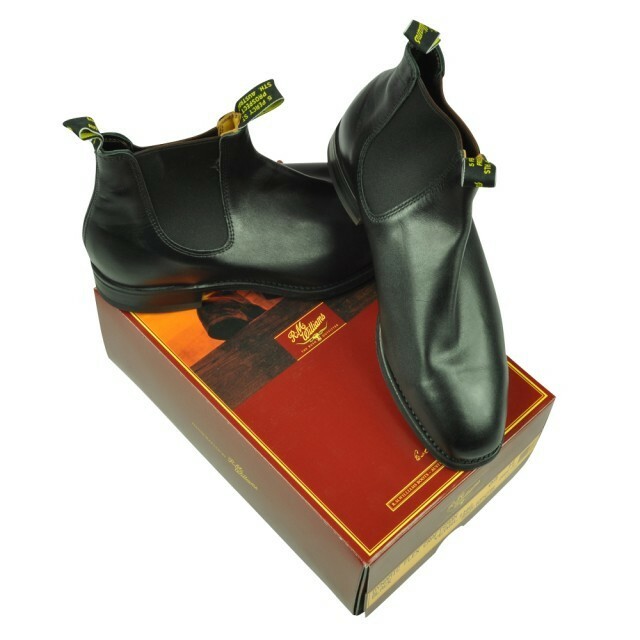 While they still make the same style leather boots R.M Williams himself created, the brand has expanded into manufacturing a wide range of clothing from t shirts to jeans, knitwear to shoes. All crafted in that tough, durable style without sacrificing that hard working bushman-inspired vision that would make R.M Williams himself proud. Here at Ron Bennett Big Mens, we have seen the range of R.M Williams clothing specialized for the big and tall man continue to be our most popular items. Our R.M Williams big t shirts and polos are some of our most sought after stock. Any king size man will tell you that it is hard enough finding a large size t shirt that fits, let alone one that looks as good on you as one of these R.M Williams polos. If you like your casual shirts big, you can do no wrong with an R.M Williams designed shirt for tha t year round comfort and style. Same goes for this R.M Williams big jeans. Made in Australia and built to last. Ron Bennett Big Mens Clothing are proud of our association with R.M Williams and we believe every man should have the opportunity to look their very best, no matter what size they are. As RM Williams himself once said, “A man doesn’t work any worse for looking a whole lot better”.